How did Genghis Khan create the largest empire of all time? 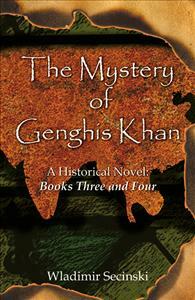 This historical novel reveals the secret and brings his world to life. How did a small band of seemingly backward people conquer most of the known world of their time? Wladimir Secinski proposes answers in this historical novel. Mongol success rested on the lifestyle developed in the harsh conditions of the steppe combined with the most advanced practices of the Chinese, and on two outstanding personalities: Genghis Khan himself and his Chinese advisor Yeh-liu Chu-tsai. The novel combines history, ethnography, and political, economic, and military theory with the human factor: greed and lust, generosity and love, ambition and selflessness.